TakeLessons.com is scheduled for site maintenance on Wednesday, April 24th, 2019 from 10:00PM - 4:00AM (PDT). During this time the site may not be accessible. 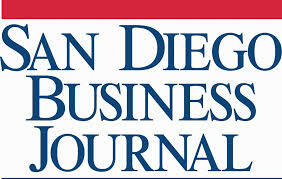 Forbes recently named San Diego as the No. 1 city in which to launch a startup. The magazine cited a heavy concentration of industries projected to have high growth. TakeLessons might agree with that ranking; it recently opened its new office at 225 Broadway in downtown San Diego. A company open house March 12 celebrated the company’s new, 9,800-square-foot space and the growth of downtown San Diego’s thriving technology community. “Creative, cutting-edge technology companies like TakeLessons are seeking the concentration and community that urban neighborhoods like downtown provide — and their workers are demanding it,” said Kris Michell, CEO of the Downtown San Diego Partnership, in a prepared statement. CEO Steven Cox said San Diego offers “a phenomenal pool of talent” as well as supportive community leadership. TakeLessons connects students and teachers through the website TakeLessons.com. It has 60 employees. The company recently acquired a Chicago-based competitor called Betterfly for undisclosed terms. In addition, TakeLessons has a partnership with Google Inc. to offer a service called Google Helpouts.